I have been to Spain, the country in which The Invisible Guardian is set, but because I’m the kind of traveler who is more along for the ride than holding the map, I had to do some Googling to figure out if I had ever set foot in the Basque region. What can I say? This is what happens when you’re a homebody with an unlikely group of globetrotting, bilingual friends. 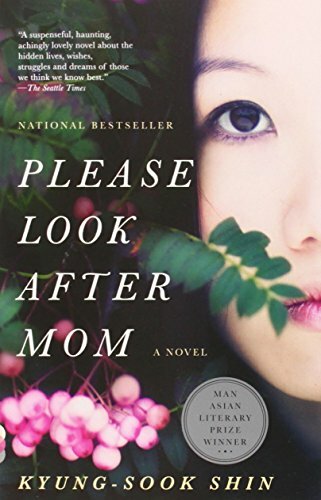 Someone says, “Wouldn’t it be fun…,” you agree noncommittally, and two months later you’re eating grapes at midnight as fast as your gloved hands will allow, packed into a square full of people ringing in the new year in a language you don’t speak but gleefully enjoy being immersed in. Anyway, the answer turned out to be no, I definitely haven’t been to Basque country. My short time in Spain was spent in Madrid, with a friend who lived there at the time, and in Seville, which is basically the opposite of Basque country, situated way down south, nearly kissing the tip of Morocco. Dolores Redondo’s novel takes place across the country, near the French border. And while I was a little disappointed to learn I couldn’t put a personal spin on the setting, I was also kind of okay with it, because The Invisible Guardian is a very, very creepy book. On the surface, it’s a pretty standard police procedural. Inspector Amaia Salazar is called back to her small hometown, a place she left for very dark reasons, to investigate a string of murders. Someone is strangling teenage girls, arranging their bodies after death in a specific, grotesque way. Some of the locals blame the basajaun, a Yeti-like creature from folklore, and although Amaia is a staunch realist, the myth veils the investigation with a dense mist of uncertainty. Amaia is a great character, mostly for all the ways she defies the stereotypical detective role. She has a haunted past, but she is a functional adult with a rock-solid marriage. She is deeply affected by the murders she’s investigating, but she maintains her professionalism and guides her team well, even when one of her more macho coworkers has trouble taking orders from a woman. She sets and keeps firm boundaries, refusing to be goaded by one of her sisters, an embittered manipulator who doesn’t have a kind word to spare for anyone. 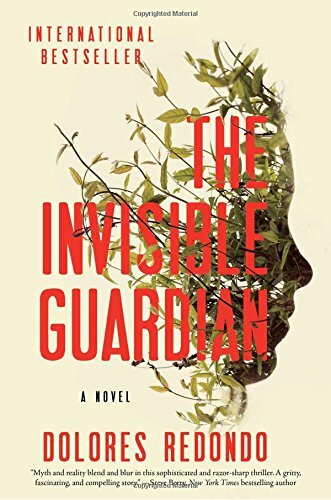 I’m glad The Invisible Guardian is the first in a trilogy, because I will definitely want to solve crimes alongside Amaia again in the future. Here’s hoping the next two books are translated into English with a quickness! With regards to Atria Books and Netgalley for the review copy. On sale now! TagsA Little Bit of Blood and Gore Never Hurt Anyone, Complicated Sisterhood, Cultural Enrichment, Darkly Surreal, Deliciously Creepy, In Translation, Kickass Female Leads, Mamas and Papas, Mysterious Deaths, Sleuths With Charisma, You Think Your Childhood Was Screwed Up?